Discover the cool, coastal world of Ventana Grill. 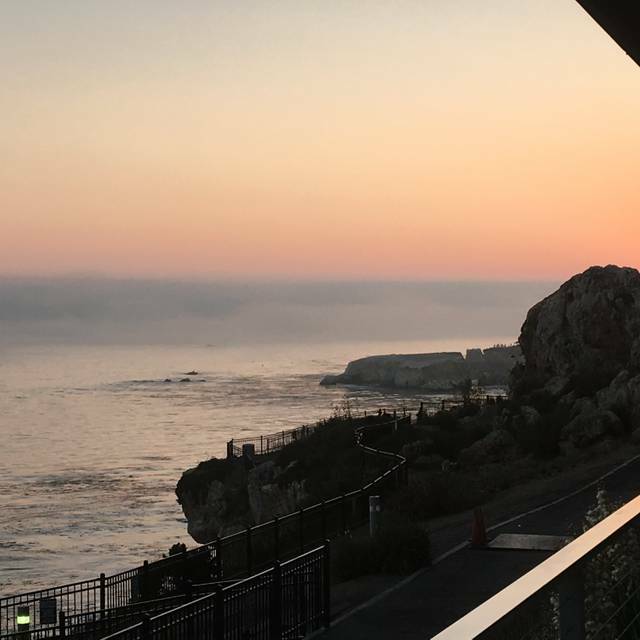 With an atmosphere that channels the four elements, Ventana Grill in Pismo Beach immerses guests in the enchanting pleasures of the natural world. 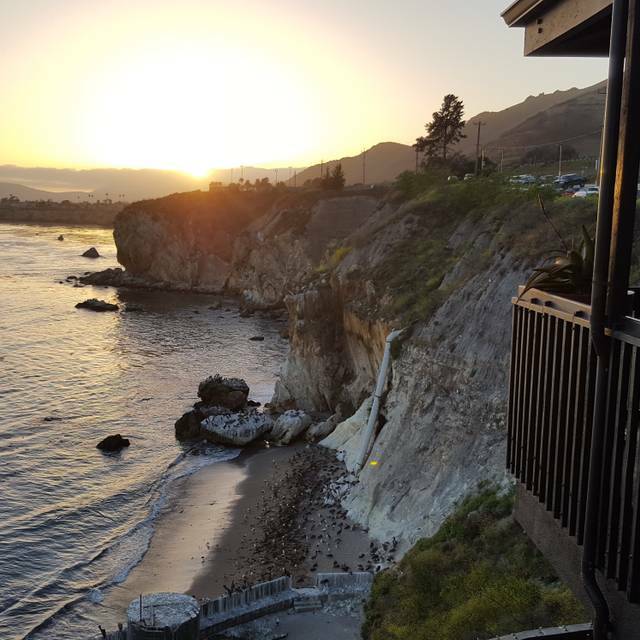 Dine surrounded by the rhythmic serenade of waves crashing on the beach below. The stylish dining room sits perched on a coastal bluff, treating guests to an endless view of azure blue and rich red sunsets. Whenever our friends visit us from Sacramento they want to come to Ventana Grill! Great food ,drinks and service every time. We have eaten here before, but it just wasn’t as good. tuna Tartare was overwhelmed by too much avocado, and clam chowder had more potatoes than clams. We shared a main, can’t remember name, but it too was just ok. Beautiful setting and very good service. Beautiful views, great service from Sergio, fantastic food and cocktails. A perfect date night! This is always a great place to eat and drink their amazing cocktails. I am a local that brought someone from out of town and he is an expert on meats as he is a broker. He was very pleased! The outside balcony is always a pleasure on nice days and evenings! Always enjoy the food and the view. However, they really should check the reservation messages given through OpenTable. It was a birthday dinner and the server knew nothing about it. I really hate when you have to remind people when the information is readily available to them, shows lack of management controls. 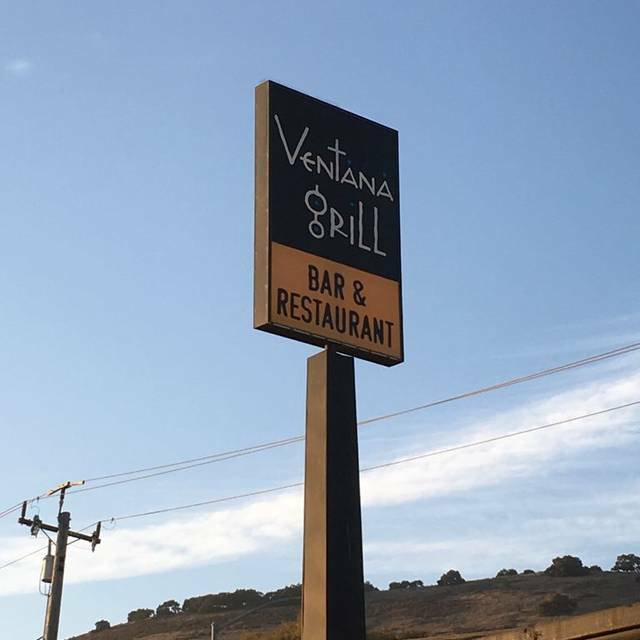 When were in the area, the Ventana Grill is a "must". This last visit did not disappoint in the slightest! We had a great waiter, and despite his warning we were ordering too much food, we plowed ahead with our order. He was right! We had totally forgotten about the portions - but no problem, the salad was boxed up and my husband and I enjoyed it the following day. The food is excellent. You just cannot go wrong here! It's popular...make a reservation! Consistenly delicious food. Service on point. Had a fantastic dinner while being well served by Brandi, she was polite, attentive & informative about the specials of the day. 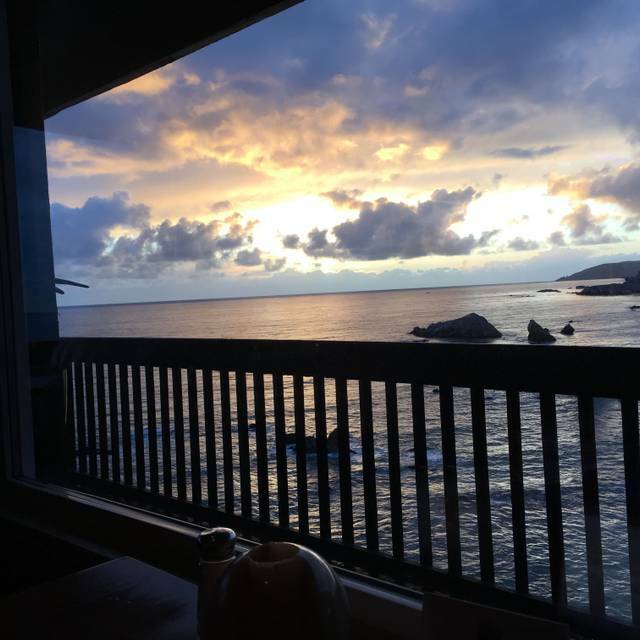 We had a beautiful view of the ocean from our table. Amazing view. Great food & excellent service. Affordable price for anyone. What else? That its all what attract people when they are looking for a place to go and have a good time. 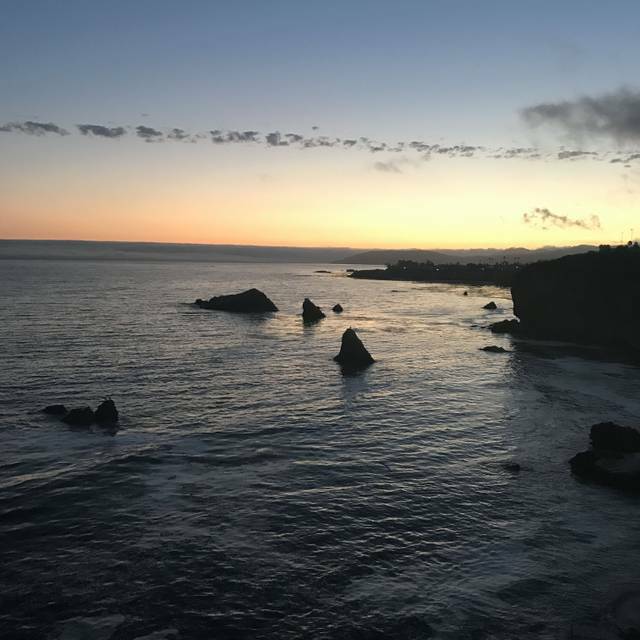 We have recommended to two other couples from NorCal and the all loved it. Exceptionally prepared, concocted and presented, fresh ingredients masterfully crafted, deliciously seasoned. Julie was a darling waiter, we had lovely time celebrating a birthday lunch! Always a good experience. Service is accommodating. Food menu and preparation are rather unique with a good fusion of flavors. The view never fails. One of my favorite restaurants. The view is amazing and the food delicious and fresh. On top of that, the prices are more than reasonable. Highly recommended. Great Service, Views and Food! My husband and I enjoyed everything! Our waiter , Christian was a wonderful server! We enjoyed talking to him! He gave us great tips about the surrounding areas. The food was super yummy...we will definitely return here to enjoy the other great foods on the menu! Excellent food and of course, amazing ambience due to the view of the ocean. Food was excellent. I think we just got unlucky with an inattentive waiter. Other tables seemed to be served well. The service was terrible. It took forever between ordering drinks, apps, meal, and dessert. They never came around often to fill waters - huge petpieve. Food was good, but they need to get their s*%t together when it comes to service. Probably would not return for dinner b/c of this. Food, drinks, service, view were all amazing! I’d made a reservation on open table in advance but our party almost doubled in size at the last minute for a surprise bday dinner. Thank you so much to the hostess (Brianna?) & manager for making it work! We’ll definitely be back again soon. 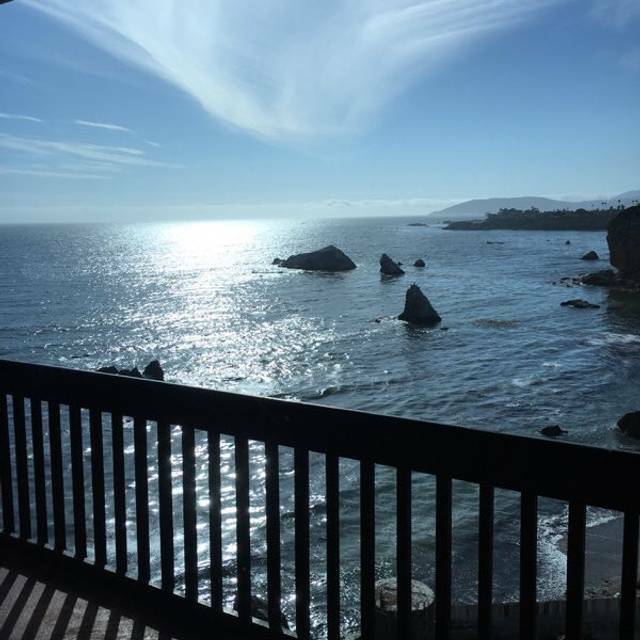 Excellent atmosphere with great views of ocean! Carne Assad’s tacos were fantastic with flavorful mild salsa. Wonderful service too!! Beautiful restaurant with scenic views. Excellent food and service. One of our favorite places to eat in SLO County. Food is always spot on and the views are world class! Spectacular! Our waiter (sorry, forgot his name..Dan?) was very nice and he took great care of us. We were served in a timely manner, but never felt rushed. One of the best meals I have had in quite some time. Definitely will return next time I visit the Central Coast. We arrived at our reservation time and were immediately seated at the window. Food was good as usual, wine was just OK. Our waiter was unfamiliar with the current list (his admission) so no help there. In addition, we overheard a different waiter describing the evening’s specials to our neighboring table. Our waiter neglected to tell us about them. Although we enjoyed our meals, I would have probably ordered one of the specials. The check was dropped at the table, we paid, and some kind of thank you was muttered when returned for signature. The hostess smiled at us on the way out but no good night, thank you, see you again, etc. Thia was not our first time dining here and the service did not match the food. 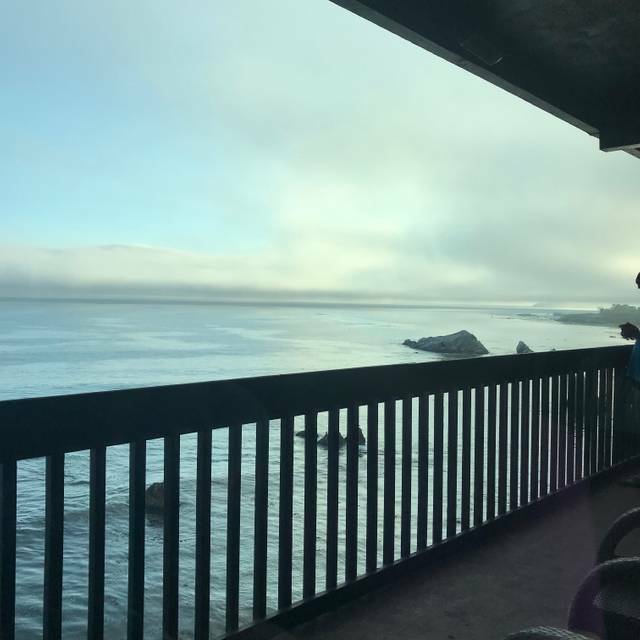 Absolutely gorgeous view of the ocean and excellent quality food! I couldn't believe how inexpensive the meals were considering the ambiance. 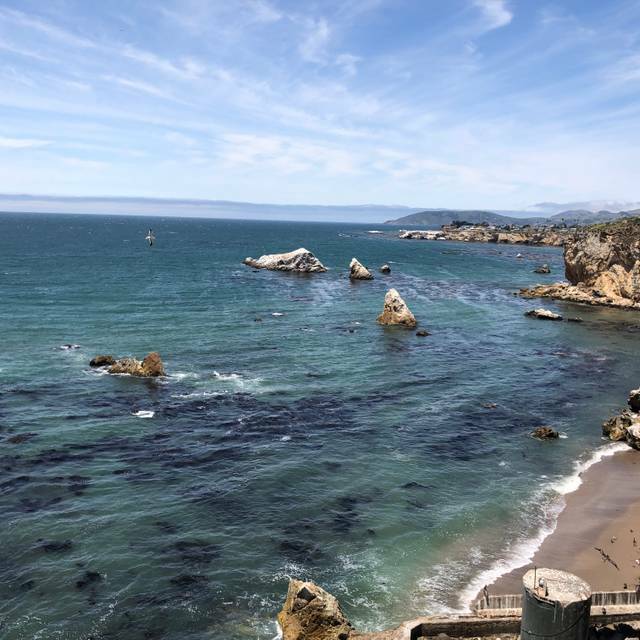 Highly recommend if visiting Pismo Beach Ca. Our server, April, was so friendly and helpful. Thank you! The manager, Lauren, and our waiter, Nolan, made our experience more than memorable. It was one of the top restaurant experiences we have ever had, and we have travelled the world. Don’t miss this gem! Sea bass was outstanding. Mahi mahi encrusted with crab tasted more like potato than crab but fish was very good. Halibut ceviche is not the best we've had. Ambience is wonderful right on the water and noise level making it possible to have a conversation easily without shouting. Had to wait for water refills, but otherwise service was attentive. allowed us time to finish the abundant appetizers before bringing the food. It was a birthday so our guest received a delicious dessert. Even though the restaurant was busy, we paid our bill and the waitress offered to fill our glasses. Most would rush us off but this staff is wonderful. Our table was ready when we arrived. We had added a request for a window booth in our reservation and we were accommodated!The service was fantastic and the food equally so. Good food, service, and reasonable prices. 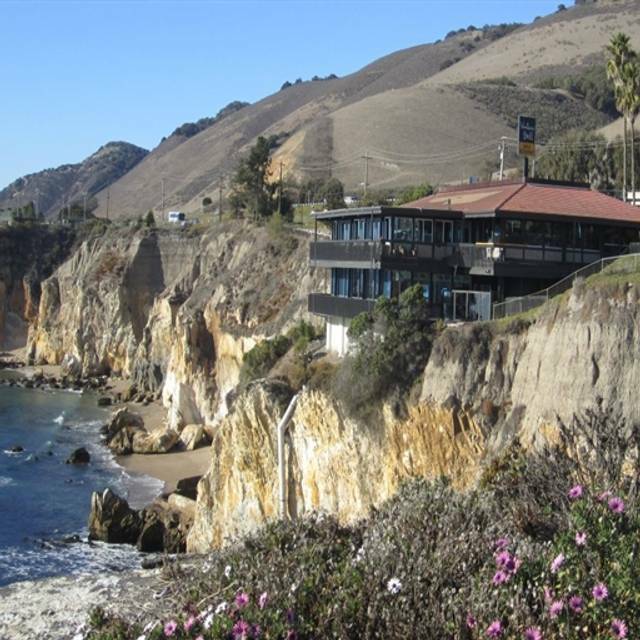 My wife and I were staying at the Cottage Inn in Pismo Beach next to the Vintana Grill. Vintana was recommended and we’re glad we took the recommendation. Wonderful birthday celebration.we had a great booth with perfect sunset view.service was excellent, food was delicious and an overall fun evening. The service was great and the host was super accommodating. My new ladies day out spot!